We Offer Comprehensive Repair and Installation Services for Commercial Roofs. 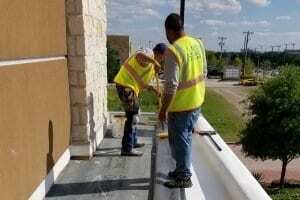 At Collin Bryan Construction, we stand as the expert choice for a commercial roofing company in Texas. This reputation rests upon an excellent history of commercial services provided across a broad spectrum of clients. We understand that a commercial roof stands as a key investment for your business. You want a premier return on your investment, and so depend on quality installation and durable materials. At Collin Bryan Construction, we deliver on every count. Among our services, we install and repair both industrial and restaurant roofing. The span of our expertise covers every commonplace material for commercial roofs. For any needs that require a commercial roofing company Dallas, Fort Worth, Tyler, Houston and outside of Texas, trust the Collin Bryan Construction name. For more information, or to schedule service from our expert technicians, call us at 817-330-4944. Industrial Roofing We offer industrial roofing for any type of commercial structure. Our expertise extends to a broad range of materials that we both install and repair. Restaurant Roofing Collin Bryan Construction has extensive experience in the service of restaurants. Regardless of your roofing needs, you can trust us with the job. Commercial Roof Types As an all-purpose commercial roofer, we work with a variety of materials. Our current service covers TPO, EPDM, metal, roof coatings, and modified bitumen. Roof Waterproofing Our team of roofing technicians offer extensive experience in moisture protection and safeguarding against potential damage and water migration. Our commercial roofs offer long-term protection for industrial facilities and restaurants alike. Regardless of the type of roof you have, certain problems make it obvious that you need commercial roof repair. In some cases, especially when it comes to outdated or aged roofs, the problems become so severe as to warrant total roof replacement. Damage to your roof’s membrane presents a common reason for repairs or replacement. 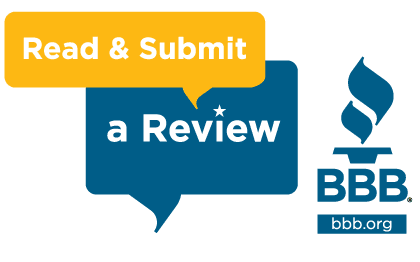 If you’ve performed a cursory examination and noticed tears, rents, or snags, you should call for an inspection right away. To guard against the intrusion of moisture is your roof’s most important job. Any damage to the membrane means the roof has become compromised in this regard, and can no longer fulfill its function properly. If you have a flat roof, and water has begun to pond, then you have a problem. Your roof’s drainage system should allow for the easy and fast dispersal of rainfall. If water sticks around, it will begin to erode your roof. Ponding typically signifies that your roof’s drainage system has become clogged or damaged. Regardless, you’ll want an expert to pinpoint the exact cause. If you’ve noticed a sudden uptick in your energy bills, look to your roof. A loss of reflectivity on a commercial roof will lead to an increase in your structure’s cooling requirements. A problem in and of itself, this can also suggest that your roof has simply gotten old. An old, outdated roof can become vulnerable to many issues and should get inspected by a quality team as soon as possible. For most commercial roofs, the seams represent the weakest point. As the mechanical or chemical fasteners begin to fail, you can see tugging or actual separation occur. At this point, your seams become vulnerable to the entry of water. As water actually penetrates beneath the outer layer of your roof, it can create bubbles in the membrane. Since bubbles show the presence of moisture, they require immediate service. For any installation or repair service for your commercial roof, trust the experts at Collin Bryan Construction. Whether you need repair, restoration, or full replacement of a commercial roof, we’re the team to choose. 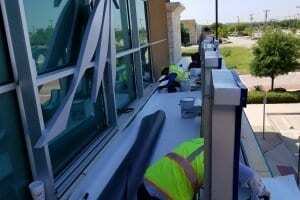 The next time you need services from a commercial roofing company, call us at 817-330-4944.